Marchantia polymorpha is a weed, and the plants are very easy to grow. We have experimented with a number of media and growth conditions. For very vigorous growth, we have used jiffy-7 pots, which are supplied as compressed dried peat, and expand on watering. 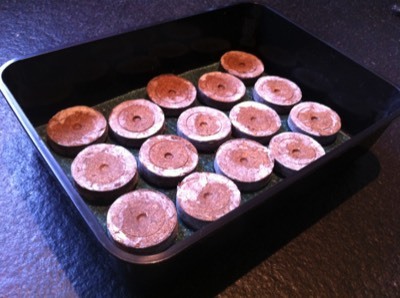 These are compact for storage, and avoid the need to have bags of soil or other media around - especially if you only want to grow plants on a small-scale. 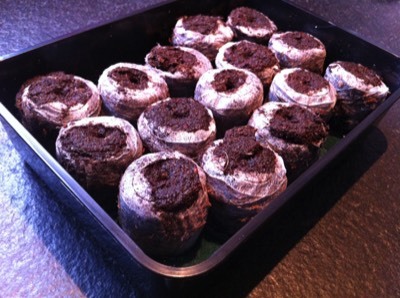 The use of peat pots also helps dodge other problems found with soil-based growth of plants due to pathogens or pests. 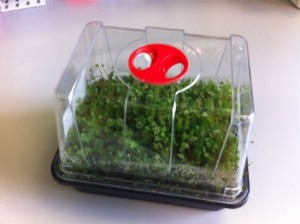 Marchantia prefer damp conditions for growth, and we grow them in small plastic propagators. 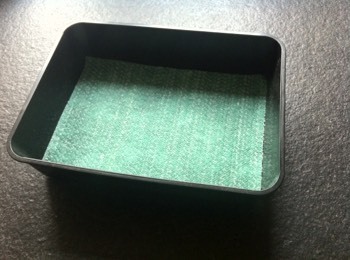 A piece of capillary matting is laid on the base of each propagator tray, and this is covered with dry peat pots. The pots are soaked to allow them to hydrate, and expand to several times their original size. 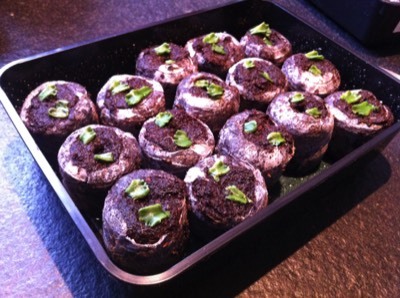 After soaking, small pieces of thallus are planted on the surface of the peat pots, the tray is covered with the transparent propagator lid, and returned to the incubator for growth. The top vent of the propagator lid is left open, and a small space left between base and lid to avoid the build up of excess humidity, which can lead to problems with fungal growth. 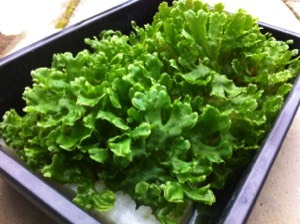 We use commercial pre-mixed hydroponic nutrient solutions to water the plants. 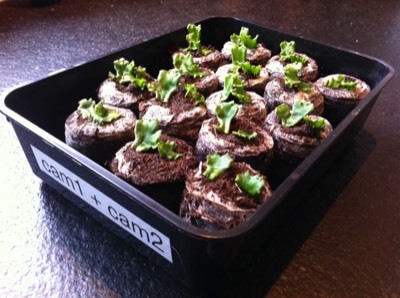 Marchantia plants are grown in propagators with transparent lids under LED illumination. 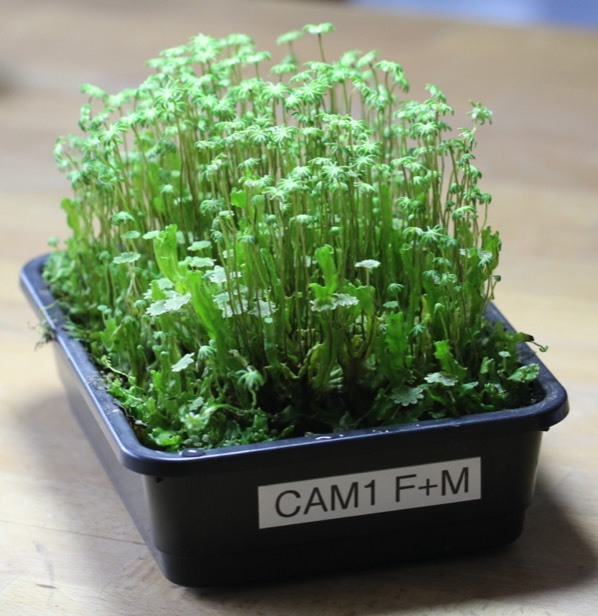 Vegetative growth is promoted under conditions of long day length (16h), and gametogenesis is triggered by supplementary far-red LED illumination. Antheridiophores and archegoniophores appear (prolifically) within a few weeks. Genetic crosses are performed by pipetting water onto the surface of mature antheridiophores, leaving a few minutes, then collecting the released sperm. These are pooled, then transferred to archegoniophores. 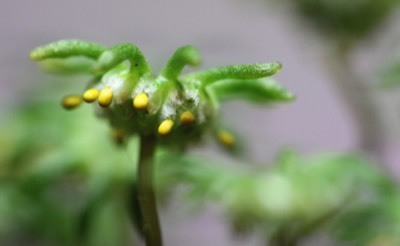 Sporangia appear within a couple of weeks of a successful cross. Mature sporangia will undergo dehiscence, releasing spores, unless keep under high humidity. The sporangia may be harvested individually, using fine forceps, or the sporangiophores can be harvested en masse, dried, and the spores collected by washing, filtering and centrifugation.